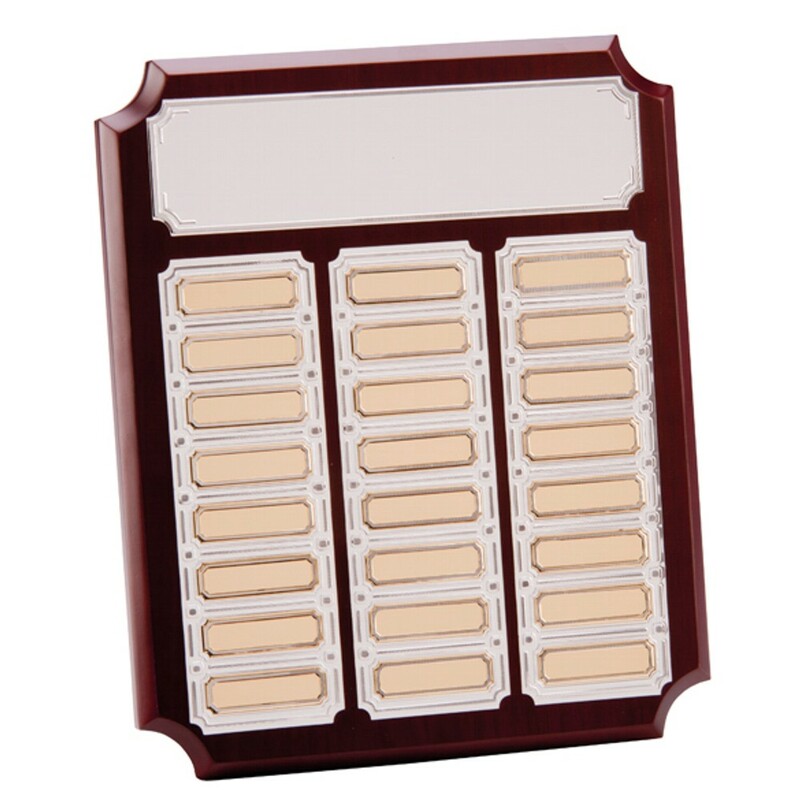 Superior Rosewood Annual Wooden Plaques. Available in 2 sizes, 230mm x 190mm (12 years) and 290mm x 245mm (24 years). 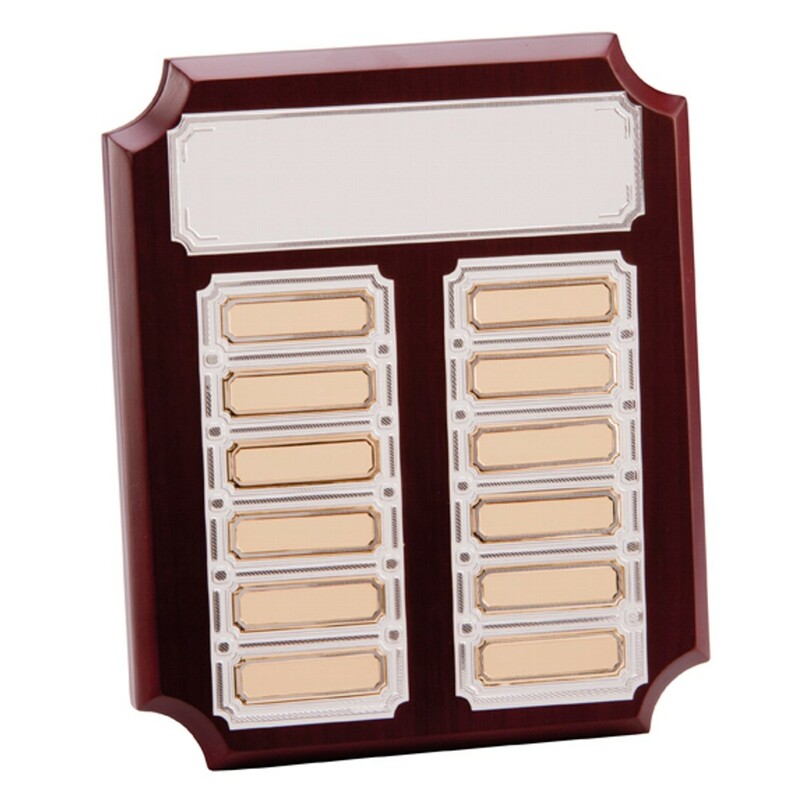 A great modern design yearly name plates and a title top plate big enough to have your logo and/or club/team name/event engraved too.